Are you looking to promote health, restore well-being and experience true healing? This therapeutic holistic wellness coaching program is for individuals and groups. The program motivates participants to tap into personal power to achieve vital health, high energy and improve their physiological, psychological and psychosocial functioning. This wellness coaching and holistic counseling program utilizes mind-body and therapeutic modalities to educate, inspire and encourage participants to work on wellness goals so they can thrive and live a healthy. 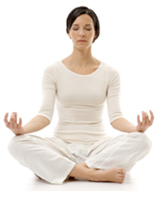 YOGA HEALING™ is a holistic health and wellness coaching program for individuals. It is a comprehensive system using mind-body techniques to inspire, support and encourage physical health, emotional well-being and mental strength. The approach is based on the principles and teachings of Yoga and is a synthesis of: Holistic Health, Wellness Coaching, Reiki Healing Touch, Aromatherapy, Polarity Therapy, Whole Foods Nutrition, Relaxation Therapy, Sound Healing, Breathing Exercises, Meditations, Relaxation Techniques, Guided Imagery, Chakra Exercises, Nature Outings, Inner Child Healing Explorations and Living Foods Education. The empowerment coaching program inspires, supports, and encourages you to optimize your physical health, emotional well-being, and mental strength. Well-being and healthy living are enhanced with the help of a mind-body wellness coach who can support you, and facilitate your process. We work together to customize a program exclusively to adapt to your interests and needs and to help you meet your specific goals. This coaching program supports you with practical life-enhancing tools to help optimize your mind-body-spiritual health and well-being. YOGA HEALING™ can boost your immune system, help you experience physical rejuvenation, optimize physical, emotional and mental health as well as live the life you desire. Are you ready to experience greater peace of mind, reduce tension, stress, and anxiety? The mind body healing techniques and this coaching system will empower your continual, conscious transformation, inspire you to become extraordinary, and awaken you to live more harmoniously. I am honored to assist you in achieving your optimal mind body spiritual health.